Tel Aviv, HaKirya: The Israel Defense Force’s Headquarters is currently in crisis mode as hundreds of critical installations across the country remain unmanned following an Iranian cyber-attack. 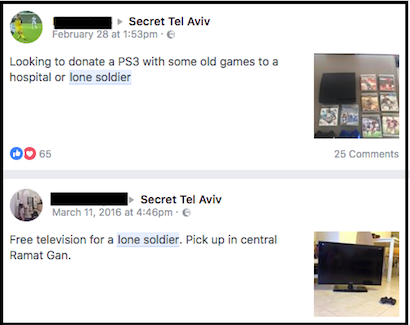 The attack took the form of several thousand fake posts on the popular Facebook page “Secret Tel Aviv” offering a wealth of items “free to a Lone Soldier”. The Daily Freier attended a hastily put-together News Conference at their Tel Aviv Headquarters. To make matters worse, the Lone Soldiers temporarily crashed the Secret Tel Aviv server while posting hundreds of requests for the free use of a vehicle in order to go pick up the make-believe free stuff they believed they were getting, temporarily depriving the City of crowd-sourced relationship advice, amateur insect identification, and people selling MidBurn tickets.